receives Lifetime Achievement Award for Technical Analysis at the Bombay Stock Exchange. In an age of information overload, it has become imperative that we engage in reinforcement of Knowledge to strengthen our execution. Reliability, Transparency and Consistency across timeframes is our motto when we deliver our trading and investing recommendations. Our motto is to consistently seek growth in value and value in growth. At ChartAdvise, we go the extra mile to ensure you surpass your financial goals. Developed under the guidance of Dr. C K Narayan, NeoTrader is the Ultimate Application for Trading & Investment Advisory. Stay on top with the pulse of the market. Stay informed. You will never be bereft of ideas in the market, ever! Widen your market perspective and gain insightful information. Every day Dr. C K Narayan and his team analyze the markets and help subscribers get a grip on the trend. Delivered online on Mobile and Website. Subscribe to Advisory Services from Chart Advise. Our services cater to all clients - from an active client who can benefit from our Trading Advisory Services on Futures and Cash Segment (Intraday and Positional); to a passive client who can benefit from Medium & Long term calls - available as part of Investment Advisory Services. ChartAdvise is India’s leading trainer in the Capital Markets space. Our program offerings include Mentoring, Webinars, Workshops and Seminars – catering to both Individuals and Corporate Institutions. HCL Tech on its way to new highs, is it a good buy?? Pre-election rally to continue as FII flows remain resilient! Torrent Pharma about to give a strong breakout!! We Are Leaders In Capital Markets for Training and Advisory. Chart Advise is a company mentored by Dr C K Narayan, the country’s top technical analyst, winner of the Lifetime Achievement award for Technical Analysis. Dr C K Narayan’s achievements over his 37 year career in financial markets spanning across Retail stock broking, Institutional sales and marketing (both Domestic and FII) and Investment Management for Corporates make him an authority in the area of his expertise. Was Head of Sales, Marketing, Client Service desk and a member of ICICI Securities’ senior management. During his tenure at I-Sec, the firm was ranked as among the largest financial service intermediary for Institutional clients. 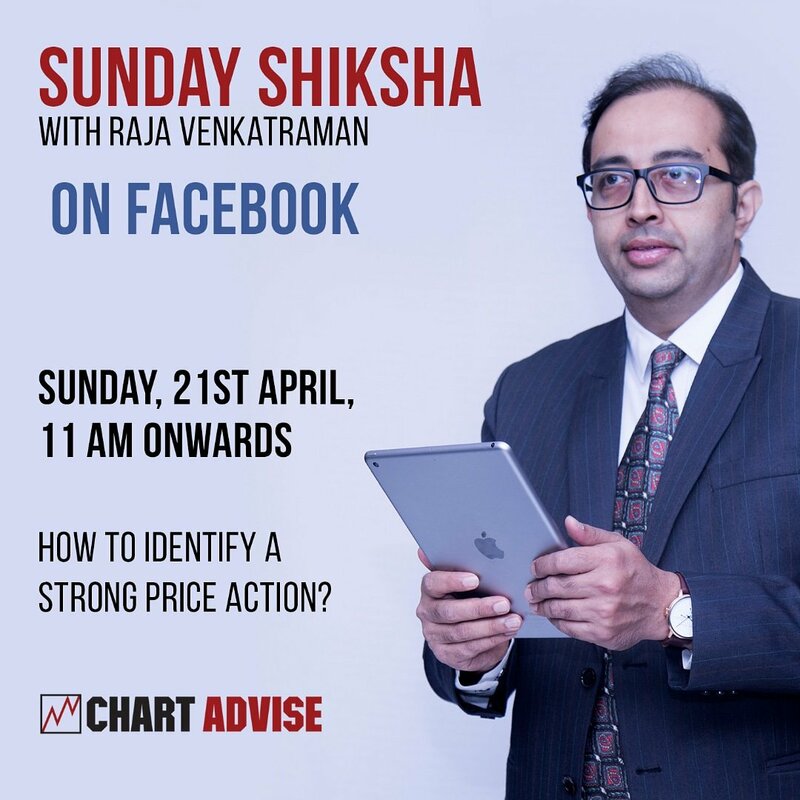 In this edition of Sunday Shiksha we shall see how to identify a strong price action . The nuances with respect to the price moves and how you can trade it for profitable opportunities. How To Identify Strong Price Action..?